Diet in the wild: preys on crustaceans, mollusks, fish, and just about anything else it can get its mouth on. Tail is long with tufted end. considered a nuisance due to its powerful and potentially dangerous jaws makes it tough to remove from fishing hooks. 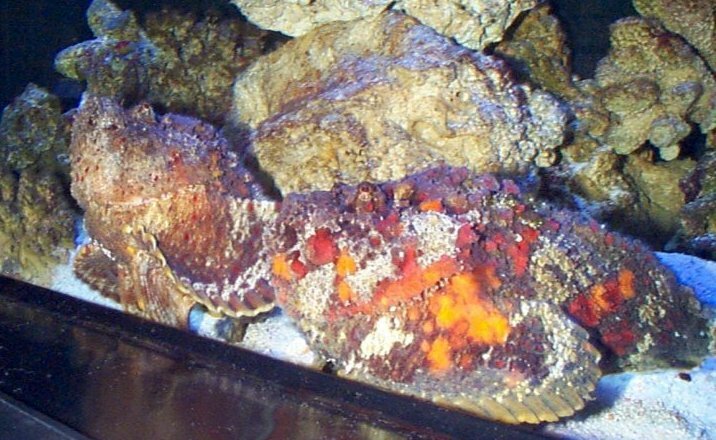 Oyster toadfishes live in western atlantic from maine to the west indies, they prey on mostly anything that they can get a hold of but they are particularly fond of mollusks, and fish. 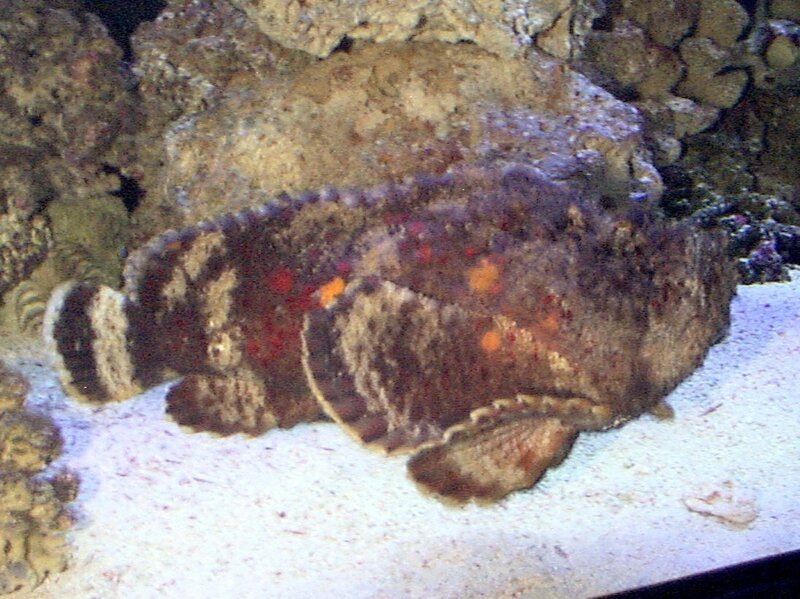 oyster toadfish along with the other family members are known for producing vocalizations, accomplished by rapid muscle contractions. the male produces a froghorn sound which may attract females to a nesting site. the spawing season last from april to october. the toadfish has really no value and is generally considered a nuisance due to its powerful and potentially dangerous jaws which make it tough to remove from fishing hooks however if you are lucky enough to catch one they are edible. 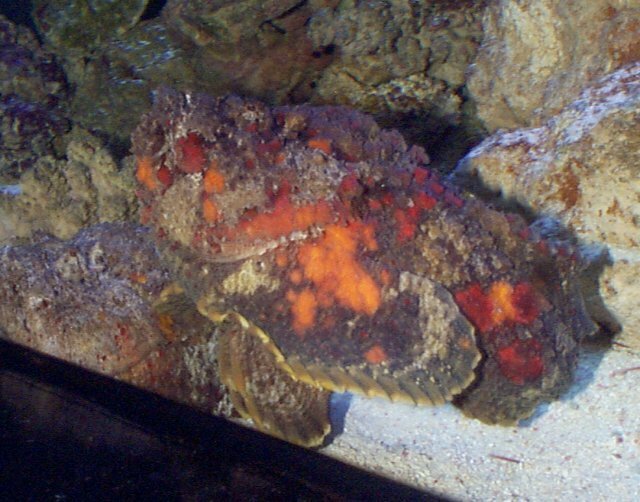 The oyster toadfish is very unique it has sound which make the oyster fish a subject of its share of studies of fish communication. the male produces a sound like a boatwhistle that is associated with mating and nesting. both males and the females make a grunting sound which appears to be aggresive and territorial in nature. the source of both these sounds is the toadfishes swimbladder, which contains a pair of the fastest contracting muscles in any animal. the sound producing structure is similar and the difference in sound made by the male and the female may result from neural and hormonal differences rather than the variations in structure of the swimbladder. this has puzzled scientist for years. Go here to hear the sound of a Toadfish. 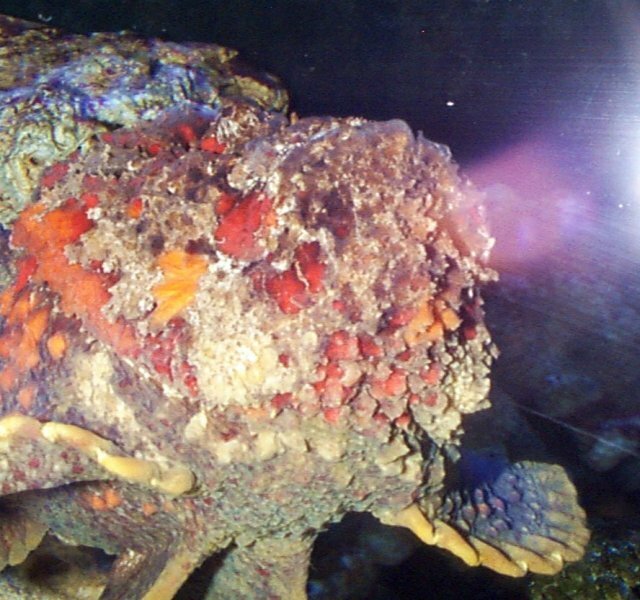 The oyster toadfish seems to swim a lot and seems to be a very aggresive hunter. It looked to be very hungry but maybe its teeth just fooled me.